After the success launch of CIRCUIT LOUNGE in Malaysia, JOHNNIE WALKER® once again introducing the CIRCUIT NIGHTS club series. The new series of race parties aim to provide loyal fans across the country an opportunity to experience the glamorous and sophisticated lifestyle of motorsports. The opening launch of CIRCUIT NIGHT club series will be bringing the sights and sounds of Korea to Butter Factory, KL on 4th October 2013. Every party will be adopting different theme, and this allows the fans to enjoy the best elements of CIRCUIT LOUNGE on selecting prominent nightspots in Malaysia. Guests will also be treated to selection of JOHNNIE WALKER® signature cocktails, such as "Fresh Gold" and "Johnnie Gold Fashioned" crafted from JOHNNIE WALKER® GOLD LABEL RESERVE™. "Through the CIRCUIT NIGHTS series, JOHNNIE WALKER® intends to enhance the consumer experience by bringing the ultimate VIP experience to outlets around Malaysia. CIRCUIT NIGHTS allows the greater public to access the inaccessible lifestyle of motorsports and immerse themselves in the luxury and glamour synonymous with JOHNNIE WALKER®." 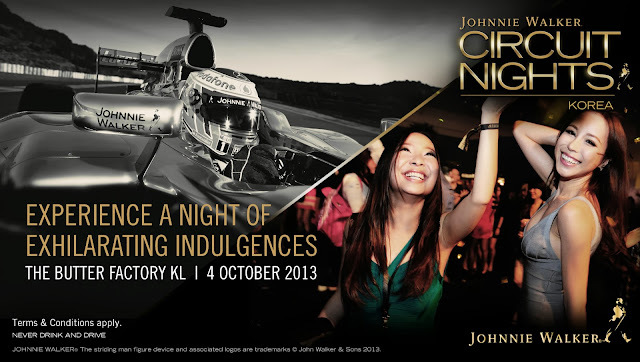 JOHNNIE WALKER® CIRCUIT NIGHTS series came from the concept of the brand's commitment to innovation and luxury. 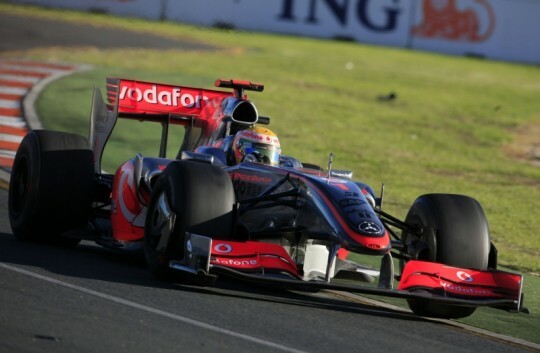 The commitment shared with with Vodafone McLaren Mercedes™ Formula One® partnership. Through the STEP INSIDE THE CIRCUIT™ campaign, the partnership has provided money-can't-buy insider access into the elite world of motorsports and consistently delivered new and exciting experience for the fans around the world. "Join The Pact" to "Never Drink and Drive". This is a pledge created by JOHNNIE WALKER® to always remind the drivers to enjoy responsibly at event parties. 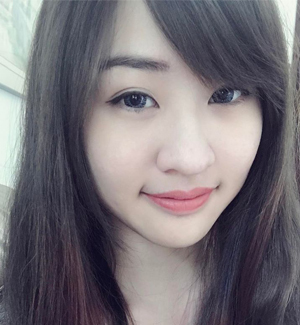 Do remember, winners are always the one who stay in control. Wondering how can you win passes to these exclusive parties?